Ten-year old author, and native Marylander, Gabrielle Stewart, tells the story of the danger, dedication, and bravery behind our national anthem and the special role Maryland played in saving the nation during the almost forgotten War of 1812. The song we sing to celebrate America is now over 200 years old. Gabrielle not only recounts the story of how the song was written, but explains how important the American Flag was to the song’s author, Francis Scott Key, and how without the bravery of Marylanders, we not only wouldn’t have our national anthem, but our country might be entirely different. 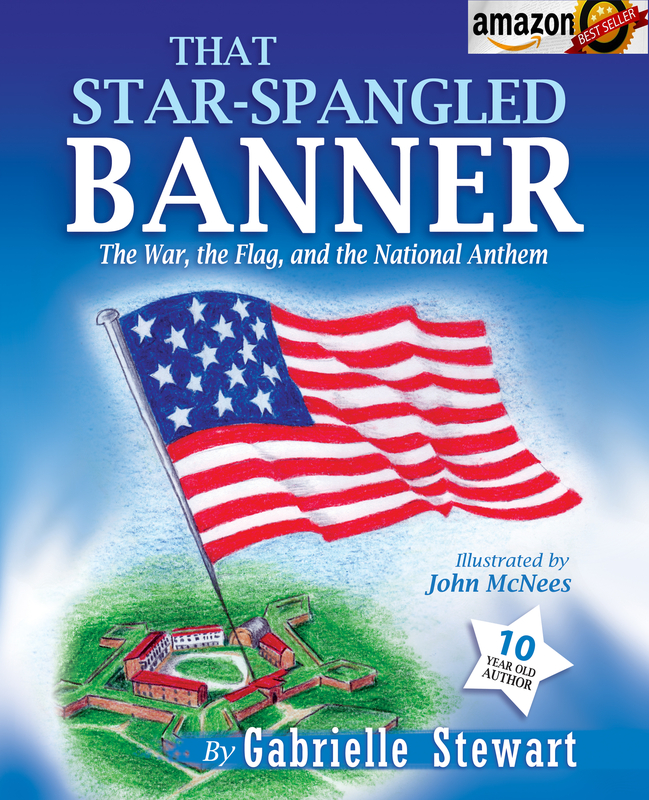 This well-researched and easy to read book is a great gift for anyone who loves American history and wants to know more about how the Star Spangled Banner came to be our national anthem. The fact that the author is a 10-year old student also gives inspiration to children to share their creativity, learning, and research with others. Get this book. Share it with the children you know who love great stories and want to learn more about the song they hear at the opening of every sporting event.